Delaware Sen. Tom Carper has been silent on news that federal investigators could not substantiate allegations he brought against former EPA political appointee Samantha Dravis. 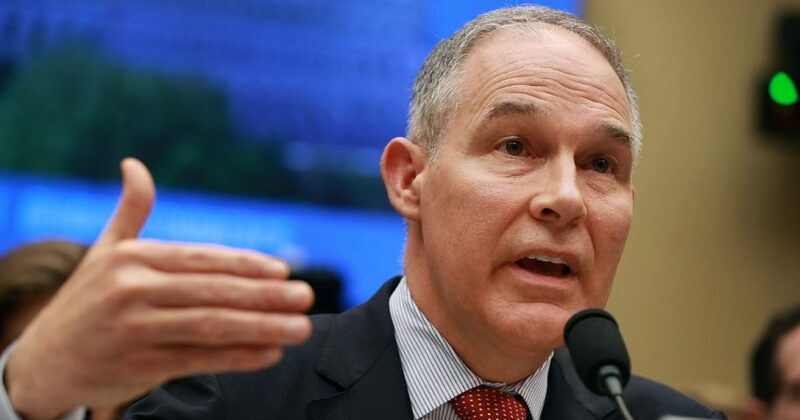 “This was an allegation that was completely unfounded from the start, and entirely contradicted by the record,” said Dravis, who served as the EPA’s senior counsel and associate administrator of the policy office. Carper did not respond to multiple requests for comment, despite being the reason EPA officials investigated Dravis’ attendance while she worked for former Administrator Scott Pruitt. Carper is the ranking Democrat on the Senate Committee on Environment and Public Works. A source close to the matter told TheDCNF that one of Carper’s staffers openly bragged about sparking an investigation into Dravis. That same staffer also asked Dravis’ associates for help accessing her personal photos on social media, said the source, who wished to remain anonymous for fear of retaliation. Carper asked the EPA’s Office of Inspector General in March to investigate whether Dravis missed three months of work while still collecting a paycheck. Carper’s letter does not reveal his source, but Democrats eventually disclosed it was one among many accusations leveled by whistleblower Kevin Chmielewski. Pruitt resigned in July as allegations of ethical misconduct and mismanagement piled up. However, a number of Chmielewski’s claims against Pruitt’s aides didn’t add up under closer scrutiny. Dravis left the EPA in April while investigators were still investigating claims she was absent from work for three months. For months, Dravis and her family were distressed, and forced to spend thousands on legal fees to deal with the investigation. However, the OIG could not substantiate Chmielewski’s claim that Dravis was absent for weeks at a time. “Investigators interviewed witnesses, who stated that the employee was often in the EPA office and attended meetings during that time frame,” OIG wrote in a report submitted to Congress on Thursday. Dravis’ former co-workers took to Twitter to castigate Carper for sparking the investigation.